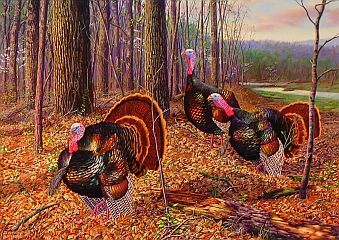 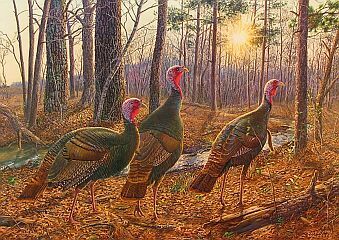 Randy's Wild Turkey prints make a great gift for a hunter. 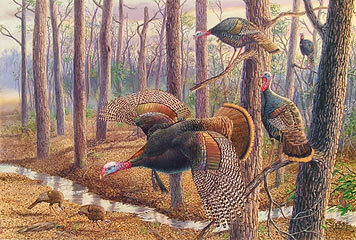 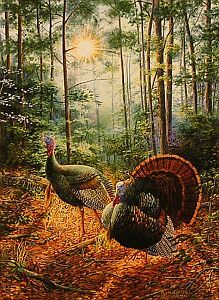 Image Size: 14 1/2" x 18 1/2"
All of Randy's Wild Turkey prints have a hunter hidden in them. 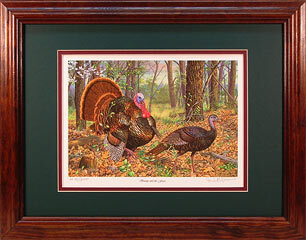 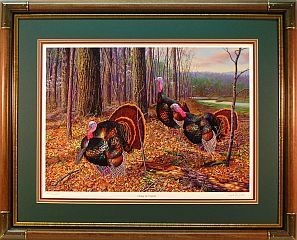 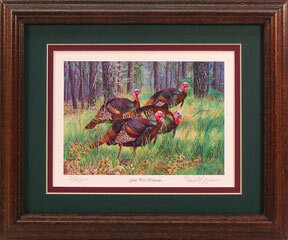 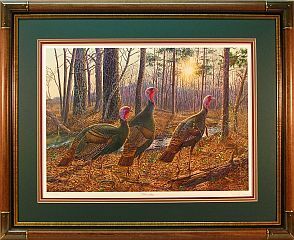 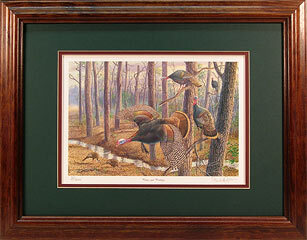 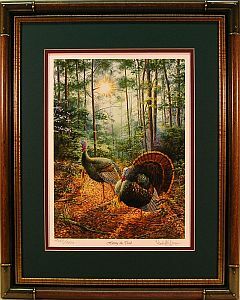 Frame Size: 16 1/2quot; x 20 1/2"
Besides a hunter, each Wild Turkey print has hidden wildlife animals. 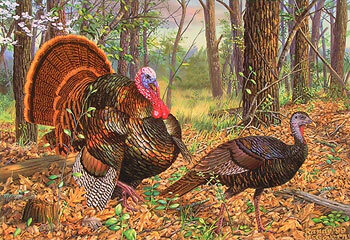 For some strange reason, Wild Turkeys don't like being shot at. 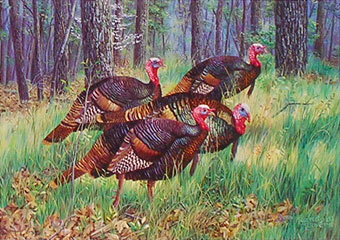 Image Size: 4 1/2" x 6 5/16"
Read quote by Randy McGovern about his love for painting wildlife art!